BitcoinWhosWho received dozens of reports over the last few days from multiple independent sources about a cloud mining scam called Crypterra finally exiting the building. The total received for all the 40 bitcoin addresses reported so far is 2,483.008684 BTC. 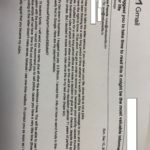 For the last 6 months BitcoinWhosWho has received scam reports relating to some version of an email claiming to have used the recipient’s computer to create a video of recipient visiting adult websites and threatens to send it to recipients’ contacts if not paid $200-$400 in BTC within 20-24 hours. It comes in many languages and has made consistent appearances in our scam reports since October 2017. The total received balance is 4,575 BTC as of 24 Feb 2018. BitcoinWhosWho received many cloud mining fraud reports in December, but aside from the NiceHash hack, none were more remarkable than the SierraHash cloud mining scam. This multi-million dollar fraud was pulled off in just three weeks! More than 86,000 transactions since November 16 with a total received balance of 177.46647418 BTC as of yesterday. As anyone who’s been ripped off by a bitcoin scam artist can tell you, how you buy, sell, hodl or otherwise transact in crypto is a matter of who to trust with your private key. The most trustworthy bitcoin exchange & wallet in the United States is Coinbase.com. Founded in 2012, Coinbase is one of the oldest and largest bitcoin exchanges still in operation. In addition to bitcoin, they also facilitate transactions in Ethereum, Litecoin and recently began offering Bitcoin Cash. For beginners and experts looking for hassle-free storage and best-in-class security there is no better option. BitcoinWhosWho received a couple reports about a Coinbase support phone scam. 1-888-455-1155 is not a real Coinbase support number! It’s a fake that shows up in a lot of web search results. The scam according to one report. The scam has yielded at least 13.75 BTC so far. 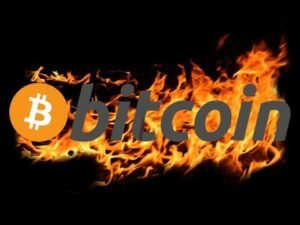 BitcoinWhosWho received multiple independent reports of a new bitcoin ransom email threatening people with “I’ve got an order to remove you” circulating. However, no blockchain transactions yet. We received two somewhat convincing phishing emails recently from colnbase.support and myethenwallet.com. Hilarious misspelling aside, it’s not so funny if one of these scams tricks you into entering your private information on the bogus websites they provide. These are the bitcoin addresses that were reported as being controlled by scammers the most often from Sept-Nov 2017.